I remember the first time I heard about green smoothies. I went to my friend’s house and she was in the middle of making one. At first I was confused about the smoothie being green. Then I asked her if she put food coloring in it, and she said that it was actually vegetables. She offered me some, reassuring me that you couldn’t taste the vegetables, just the fruit. I was a little skeptical at first, but I couldn’t see a way out of it, so I gave it a shot. It was actually really tasty! Turns out, it’s healthy too. In fact, green smoothies have a lot of nutrients in them, making them highly beneficial for you. First off, what is a green smoothie? Basically, it’s just your traditional smoothie with some vegetables sneaked in. The chlorophyll in vegetables makes their green color overpowering, so that’s why they are such a startling color. Don’t worry though, the fruit flavor still prevails! Because green smoothies are made with fruits and vegetables, they are jam-packed with nutrients. Most vitamins and minerals can be found in green leafy vegetables, which is a must-have in all green smoothies. That means they are packed with essential nutrients like Vitamin A, Vitamin B6, Folate, Potassium, Zinc, Calcium, Iron, Magnesium, and much more. So drop the multivitamin and start your day with a green smoothie instead! 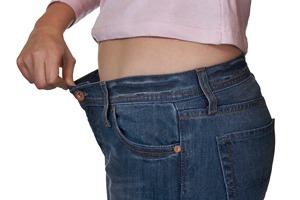 Green smoothies also promote weight loss. All of these great nutrients they contain will promote energy efficiency and allow your body to process food better. They also make a great meal replacement! For example, eating one of these for breakfast every day is a super healthy idea. Most people skip breakfast, so adding a green smoothie for breakfast each day will actually help you lose more weight. This is because having a healthy nutritious breakfast will get your metabolism going for the day and actually start burning fat too. If you combine these healthy nutrients with regular exercise, like running every day, you will maximize your weight loss results. Another benefit of green smoothies is their ease of consumption. You just toss the ingredients into the blender, mix it up, pour it into a cup and you can take it with you out the door. Their portability makes them a great meal for a person constantly on the go. 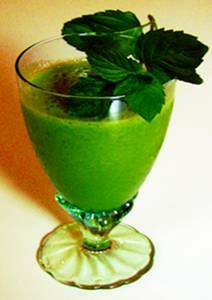 Green smoothies are rich with antioxidants too. These are crucial in prevention of diseases like cancer. These smoothies are also rich in fiber, so they’ll do a great job of cleaning out your system and removing toxins. An added bonus of getting rid of the toxins is clearer skin! The fiber will flush the toxins out of your body so that you won’t be excreting them through your skin. It looks like there’s nothing green shakes don’t do! I personally haven’t been able to find any flaws with them. I’m surprised more people aren’t drinking them. Just drinking one smoothie a day will reap many benefits in your life, such as weight loss, clearer skin, disease prevention, and improved digestion. Time to go shopping for fruits and veggies! Alyssa Staheli is a life-long learner and a health and fitness expert. She loves to write and share her knowledge with others. This is because she believes that “knowledge is power” and that with the right information, one can achieve optimum health. You can find Alyssa on Google+.